Power Compare is a New Zealand consumer empowerment website. Power Compare lists, filters and compares more than 20 different NZ power companies. We present this information in an easy to search and navigate format to allow you to make an informed choice when choosing your next NZ power provider. In order to do this effectively we need to ask some questions and collect some of your personal information. We value your privacy and provide the Power Compare website and service entirely free of charge but if you do decide to change power supplier, in some cases we will receive a commission when you sign up to a power plan that we have researched for you. In no way does the commission that we receive get added to the cost of the power plan you choose. This is all factored in by the power provider that you are choosing to give your business to. These commissions are what allows us to keep the site running, up to date and there for all New Zealand to use free of charge. If you are on this privacy page you obviously care about your personal data and we believe knowledge of our data privacy practices will enable you to make the best possible decisions regarding data privacy and your usage of the Power Compare website. Power Compare complies fully with the Privacy Act 1993. The operative legislation concerning personal data protection in New Zealand. This policy statement details how Power Compare collects and uses your personal data as well as keeping you informed about the personal data protection measures we have put in place. When using our Service, you consent to the collection, transfer, manipulation, storage, disclosure and other uses of your information only as described in this Privacy and Personal Data Protection Policy. We do not collect personal information if you are only browsing this website. Unless you register for online services from Power Compare, you remain anonymous when you browse this website. In order to access some of our services, or process a transaction between you and a third party power company or telemarketing company, we may request personal information such as your name, address, phone number, email address and other information that renders you identifiable to the power company or marketing company we have partnered with. Power Compare collects your personal information only when you choose to register for and/ or use our services, for example in the process of applying for a power product detailed on our website we may be unable to refer you directly at which point we will request your personal information to pass to the power provider or marketing representative. This personal information encompasses information communicated to us when you voluntarily complete a registration form presented on our website that makes it possible to identify you. By providing this information and volunteering your personal details, you undertake to communicate accurate information that does not prejudice the interest of any third parties. To send you information about products and services which we think may be of interest to you including sharing your personal information with Power companies (or their authorized marketing representatives) we believe may be able to offer you a suitable package for your requirements. You authorise Power Compare to disclose and transfer personal data to third parties, whose products are listed on the Power Compare website, and/ or their authorized representatives. Power Compare may distribute, or lease your personal information to third parties for the purpose of finding the power provider we deem most suitable for your requirements. You grant us your permission to transfer your data for this purpose as required under law. Collected information is retained until it is destroyed. We retain your personal information in order to carry out the data uses stated in section 4 above. This includes retaining your data to contact you with products or services we believe may be of interest to you in the future. During the period that Power Compare retains your data, we are committed to all reasonable efforts and practical steps to ensure that collected data is protected against any loss, misuse, modification, unauthorized or accidental access or disclosure, alteration or destruction. Power Compare undertakes this to protect the confidentiality of your data to the purposes set out in section 4 only, and therefore to ensure your data privacy. We will ensure that your personal data is permanently deleted once it is no longer required to fulfil its original purpose, or as is required by the law. Power Compare takes all reasonable steps to ensure that your information is accurate, complete, not misleading and kept up-to-date, consistent with the purpose for which the information was collected. If you would like to access or correct personal information that is inaccurate, incomplete, misleading or not up-to-date please contact us via email on hello@PowerCompare.co.nz. We will use reasonable efforts to accommodate requests for access and information changes. Similarly, please contact us should you wish to withdraw consent for the use of your personal information and/or unsubscribe from our promotional emails. You agree that Power Compare shall be entitled to advise you via email, post, telephone or by text of products, services and other offers we think may interest you. Whenever you provide us with personal information, we will give you an opportunity to tell us you do not consent to us and others using and sharing your information for marketing purposes. Unless you tell us otherwise, you are consenting to such uses. Any electronic marketing communications we send you will include clear and concise instructions to follow should you wish to unsubscribe at any time. 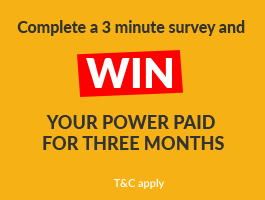 Should you no longer wish to be contacted by us, you can advise us at any time by emailing us at hello@PowerCompare.co.nz and requesting that you are unsubscribed.